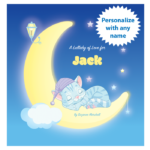 Our personalized bedtime story makes a soothing gift for kids. 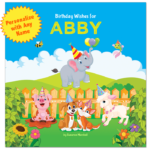 Throughout this personalized book, sleepy animals help a child (given the name of your choice) prepare for sleep. What makes this bedtime story so special? 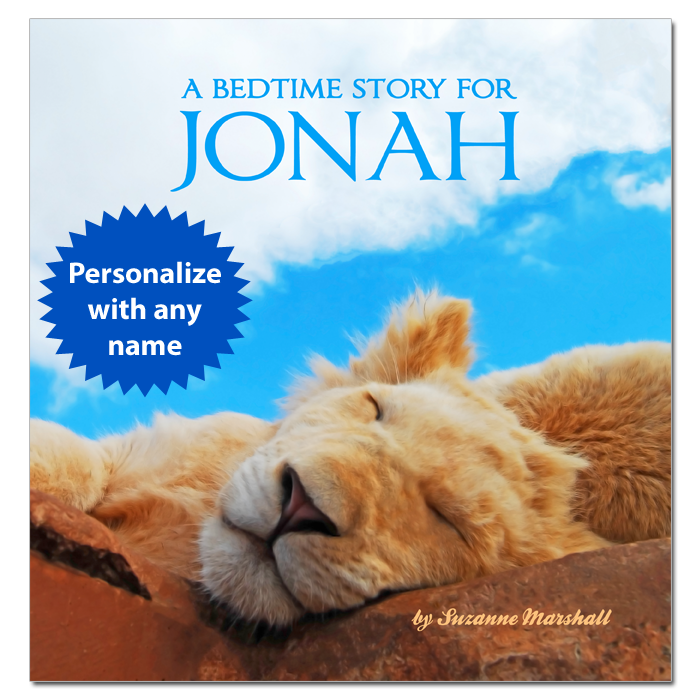 First, this picture book offers sleep affirmations to pacify a child. According to research, affirmations can improve a child’s ability to overcome stress. Secondly, the book features illustrations in shades of blue. Why? Because studies show that blue has a calming effect on children (and adults too). 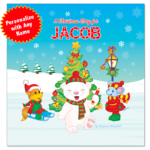 Thirdly, the child is the star of the story with their name repeated throughout the book. By and large, kids love hearing their name read aloud. In fact, name-repetition can boost self-esteem. Finally, this bedtime story includes unconditional love and gentle rhymes. On the whole, children adore rhymes. In fact, reading rhymes can improve literacy. 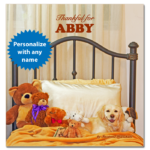 As a result, our personalized bedtime story makes a wonderful gift for kids. PLEASE NOTE that this book is full of photographs, not illustrations like many of our other books. 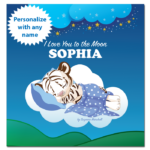 If you prefer illustrations, please check out our other personalized bedtime stories: I Love You to the Moon and A Lullaby of Love. Feel free to read and view the entire book below. 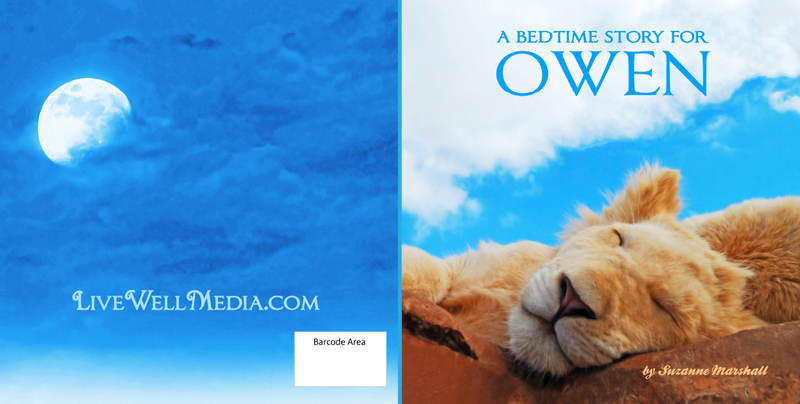 All of our bedtime stories for kids are priced at $19.95. 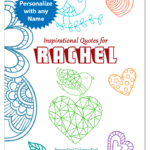 When you purchase this personalized book, the name “BEN” will become the child’s name of your choice. Additionally, the appearance of text and colors on your screen may vary slightly from the printed book. Moreover, there may be minor text changes in your version of the book. If you have trouble viewing the book, you may need to install Flash and/or allow it in your browser. Firstly, Sleep Affirmations can improve mood, attitude, and even performance. Secondly, Soothing Blue Colors can calm and prepare us for sleep. 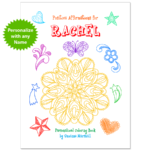 Thirdly, Personalization can engage a child’s attention and boost self-esteem. Fourthly, Repetition can improve a child’s vocabulary, even at a very young age. When you buy bedtime stories for kids, you give a gift of peace and love. In general, bedtime can be challenging for parents and kids alike. However, creating a relaxing bedtime routine can improve kids’ sleep. By the same token, bedtime stories for kids can soothe the mind and body. Furthermore, bedtime stories for kids can nourish a positive attitude toward sleep. 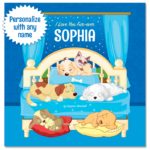 Since research shows that affirmations can improve mood, we feature sleep affirmations in A Bedtime Story. 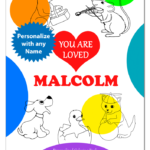 Consequently, this personalized book makes a soothing bedtime story for kids. According to research, blue is a calming color for children (and adults too). Moreover, the color blue can reduce blood pressure. With this in mind, bedtime stories for kids in shades of blue can help prepare children for sleep. For this reason, A Bedtime Story features blue-toned pictures. According to studies, bedtime stories for kids can boost brain health. In addition, bedtime stories for kids can improve the child/adult bond. In order to learn more about the benefits of bedtime stories, use the links below. 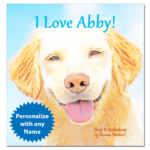 When you buy our personalized books for kids, you make a child feel special. 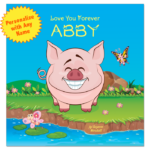 Since you repeat a child’s name in personalized books, this makes them very powerful. In fact, name repetition gives children a self-esteem boost. When kids hear their name spoken positively, they tend to feel pretty good about themselves. In addition, their attention shifts toward the speaker. In fact, the sound of a kid’s name can create a short “trance” in which the child waits with anticipation for whatever is said next. 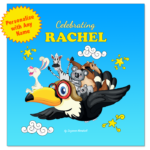 For this reason, personalized books capture children’s attention and imagination. Gave this as a gift to my best friend at her baby shower for her son Elijah on the way. Everyone loved it! ~ Shawna B. It was just perfect for the granddaughter! Love it! ~ Debra N.
Loved the pictures and repetition of phrases. ~ Kathy H.
Perfect gift for my grandnephew. He loves books, animals and thinks it’s great to hear his name read over and over. ~ Mirta V.
Bedtime story for my grandchildren. Perfect for my grandson. His big sister has one of her own. ~ Beverly D.
Great gift. Loved being able to give a nice personal gift. ~ Kenzie A. Five Stars. Good Reading. ~ Anna H.
Five stars. He enjoys hearing his name. ~ Gary B.